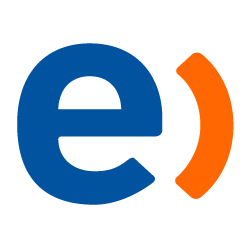 Entel is one of Chile’s largest telecommunications firms, serving both the consumer and commercial sectors. With more than 12,000 employees across its extended enterprise, Entel provides a broad range of mobile and fixed communications services, IT and call center outsourcing and network infrastructure services. Success in the highly competitive mobile and telecommunications market takes more than world-class infrastructure, great connectivity, an established dealer network and extensive range of retail location. Achieving optimal on-the-job performance yields a competitive edge in the form of satisfied customers, increased revenues and lower costs. Yet actually accomplishing this objective is no small feat – especially for an industry job role notorious for high turnover rates. With these challenges in mind, Entel embarked on an innovative new strategy to enhance the predictability of the hiring, onboarding, training and developing practices for its nationwide team of 6,000+ retail store and call center representatives. Entel conducted an exhaustive analysis – a “big data” initiative that mapped correlations between dozens of disparate data points mined from various business systems, HR systems as well as assessment results – to develop a comprehensive model of the factors contributing to employee performance. Working with Questionmark OnDemand enabled Entel to create the valid and reliable tests and exams necessary to measure and document representatives’ knowledge, skills and abilities. Find out more about Entel’s program planning and development, which helped identify and set benchmarks for required knowledge and skills, optimal behaviors and performance metrics, its use of SAP SuccessFactors to manage and monitor performance against many of the key behavioral aspects of the program, as well as the growing role their trustworthy assessment results are having on future product launches and the business as a whole.